This ticket allows you general access to the show of British pop star Jessie J at NDSM-WERF in Amsterdam. Valid on Saturday 03 August 2019, 17:30 - 22:45. This ticket allows you general access to the show of The English singer-songwriter, James Bay at City Sounds at NDSM-WERF in Amsterdam. Valid on Sunday 04 August 2019, 17:30 - 22:45. This ticket allows you general access to the show of Thirty Seconds to Mars at City Sounds at NDSM-WERF in Amsterdam, one of the most popular rock bands of the last twenty years. Valid on Tuesday 06 August 2019, 17:30 - 22:45. 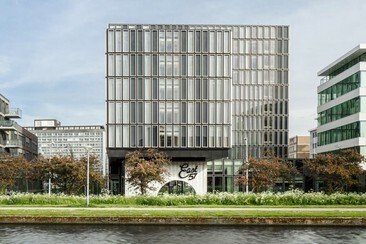 Hotel Lowell lies to the south-east of the center of Amsterdam, in the Zuidoost district. A 3-minute walk from Bullewijk metro station, this hotel in a business district is 5 km from green space at Gaasperpark and 11 km from the Van Gogh Museum. You can reach the hotel easily by car and park on our own parking at the hotel to explore Zuidoost which is a great choice for travellers interested in sightseeing, atmosphere and city trips. At the hotel, we offer a restaurant, parking and 24-hour reception. Each room includes a desk, a flat-screen TV and air conditioning. 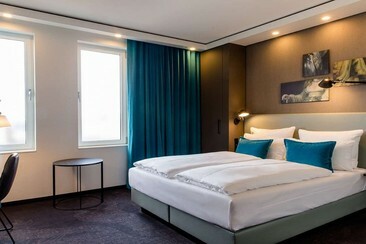 All rooms come with free Wi-Fi access, a Nespresso coffee machine, a refrigerator and a laptop safe. The private bathroom is equipped with a shower, toilet, towels and free toiletries. A buffet breakfast is available every morning at Hotel Levell. Motel One Waterlooplein is situated within 500 metres of Dutch National Opera & Ballet and 1.5 km of Basilica of St. Nicholas. This property is located a short distance from attractions such as Dam Square and Royal Palace Amsterdam. Beurs van Berlage is 2.1 km from the accommodation, while Carre Theatre is 2.5 km away. 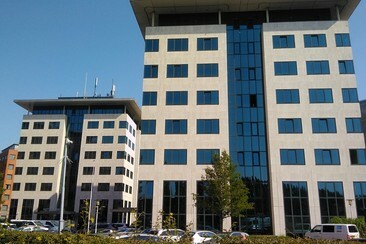 Schiphol Airport is 18 km from the property. The accommodation features a 24-hour front desk and luggage storage for guests. Motel One Waterlooplein in Amsterdam provides a bar and rooms with free WiFi. Guest rooms in the hotel are fitted with a flat-screen TV, air conditioning and a desk. Every room has a private bathroom with a shower. The Golden Tulip Amsterdam Riverside is just 20 minutes away from Schiphol Airport and Amsterdam city centre, and yet in a quiet area well suited to business and leisure guests. It is also 12 minutes' walk from Gaasperplas metro station, 8 km from Amsterdam Arena and 11 km from Heineken Experience’s interactive tours. The hotel offers 24-hour reception, daily housekeeping, laundry service and conference rooms, plus the restaurant Flavours, with its patio overlooking the River Gaasp. Bright rooms feature free Wi-Fi access and flat-screen TVs; some have river views and the private bathroom with shower/ bath, towels, and free toiletries. 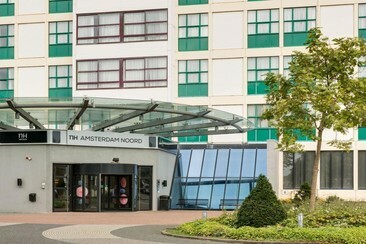 NH Amsterdam Noord is located in the north of Amsterdam, near the central station, and with easy access to all famous sights. 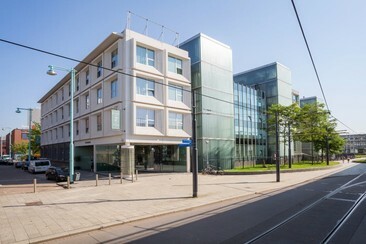 The hotel is 1.3 km from the Veer Buiksloterweg ferry station, 3.2 km from the Anne Frank House and 5 km from the Van Gogh Museum. The hotel has a stylish restaurant and bar, free parking and fitness facilities. 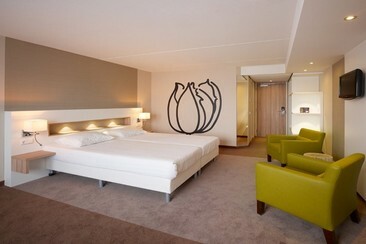 NH Amsterdam Noord has 290 spacious rooms with air conditioning, free Wi-Fi, a flat-screen TV, and sitting area, along with minibar and tea and coffee making facilities. Guests can choose a pillow to sleep on from the special NH pillow menu. The Hotel2Stay is next to Station Amsterdam Sloterdijk or just outside the ringway A10 - perfect access by public transport and by car. From our hotel, you can reach hotspots as the Westergasfabriek, the Foodhallen and the Museumplein in no time. The Anne Frank House and the Vondelpark are located 3 km from the property. Schiphol Airport is just 10 minutes away by train, while Amsterdam Central Station is 5 minutes away. All studios include a fully equipped kitchen, a TV and a private bathroom featuring a shower. Free Wi-Fi and air-conditioning are included. Late checkout is available on request for a fee. 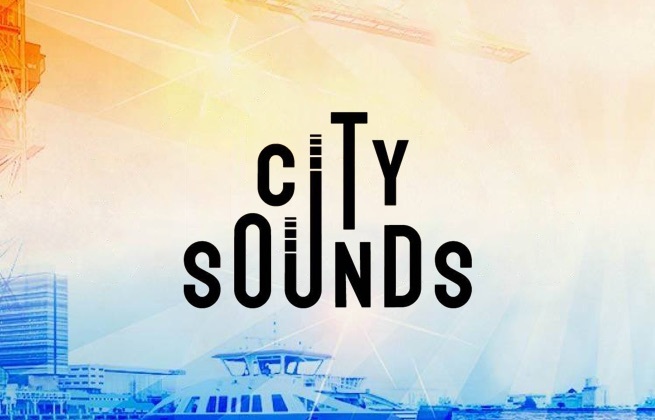 City Sounds is a series of open-air shows in Amsterdam, Netherlands. Set in the uniquely atmospheric backdrop of what was once one of the Dutch capital's industrial shipyards, the series brings thousands of music-fans to the north of the capital for several evenings of top-tier music. This year's festivities are headed up by Jessie J, James Bay, and Thirty Seconds To Mars. NSDM Werf in Amsterdam Noord was once an industrial shipyard and is now an important cultural space for the city.